The Witness Compact Steel is a pistol that could be a carry gun as well as enjoyable to shoot and chambered in a caliber that can knock down an assailant. 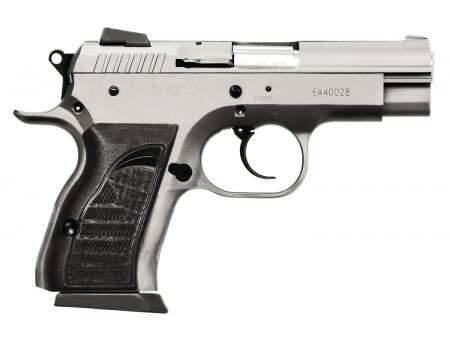 Standard on every Witness is an external safety, external hammer, cocked & locked carry system, beaver tail, and low barrel axis for added controllability. This double/single action features the Wonder finish polished steel slide, black synthetic rubber grips, and windage adjustable sights.